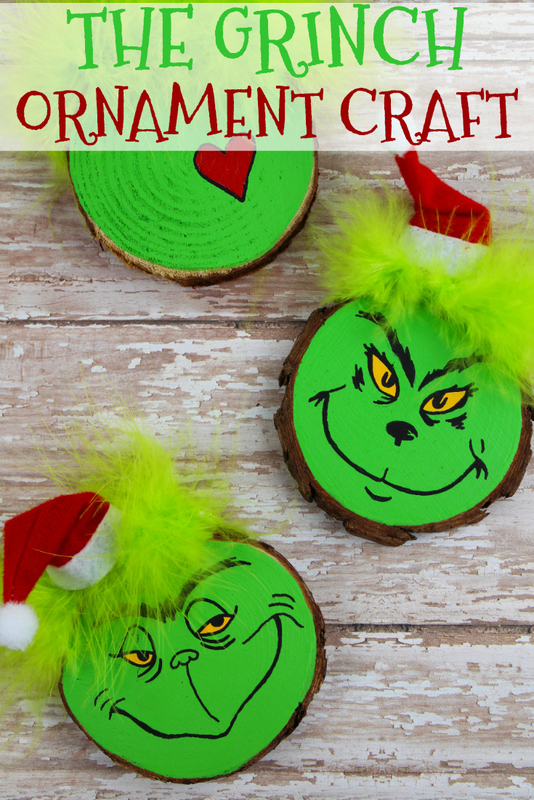 This Wood Slice Grinch Christmas Tree Ornament Craft is the perfect holiday craft for the whole family! My two favourite Christmas movies are Home Alone, and How The Grinch Stole Christmas. Two classics I always watch year after year. A few years ago I started making a Grinch tree to add to our holiday decor, and this year wanted to add another Grinchy touch! Crafting for the holidays is so much fun, and my kids always love to help. I am thankful they are into crafting as much as I am, and I can delegate certain tasks to each child depending on their age. 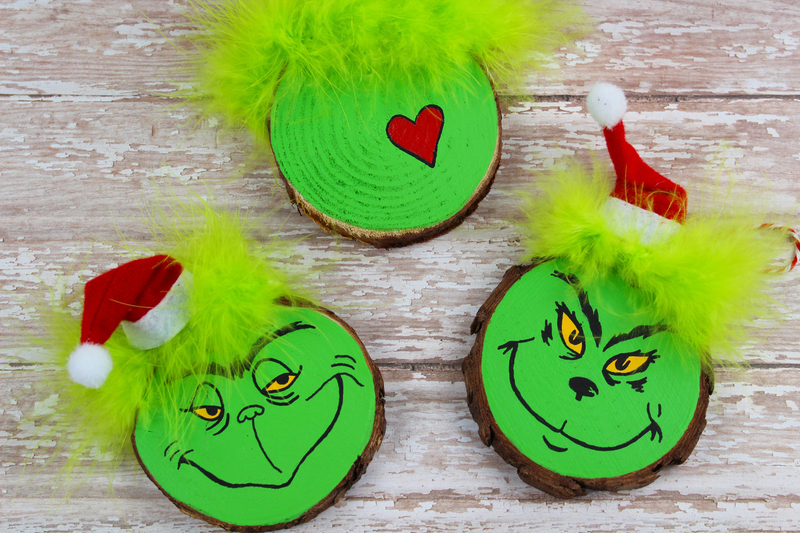 If you love The Grinch as much as we do, then gather the kids and make this festive craft to add to your holiday decor for years to come! 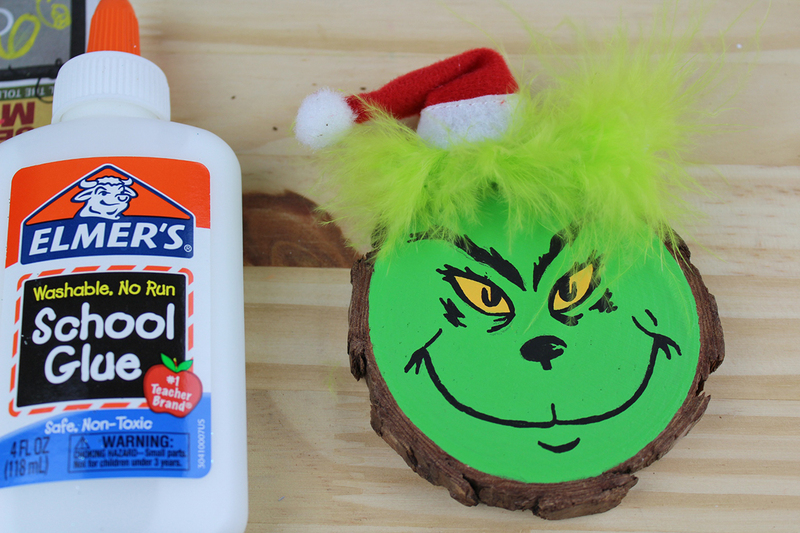 Whether you do this prior to Christmas or over the break from school, this Grinch Christmas tree ornament craft is one you can pack away and reuse year after year. 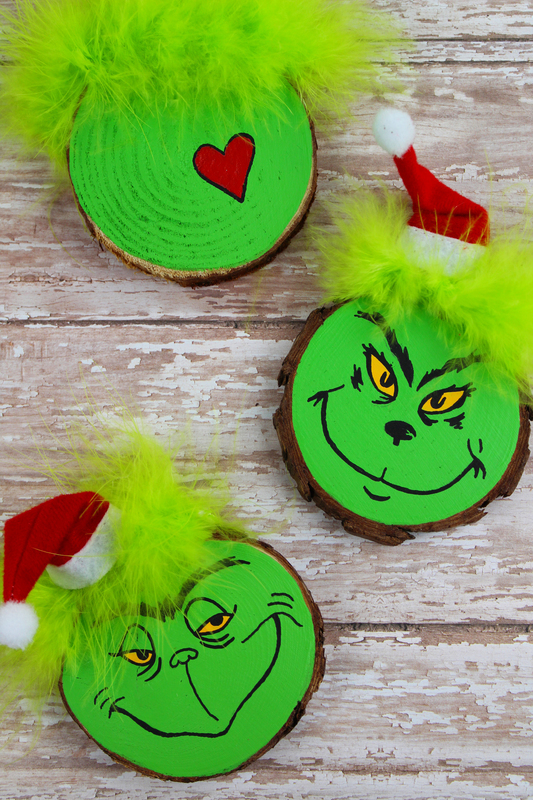 So, add a little green fun to your holiday decor and make this cheeky craft with your family! Follow along below through the step-by-step photos. Then print out your list of supplies and instructions, and get to crafting! Pick a spot to work and gather your supplies. 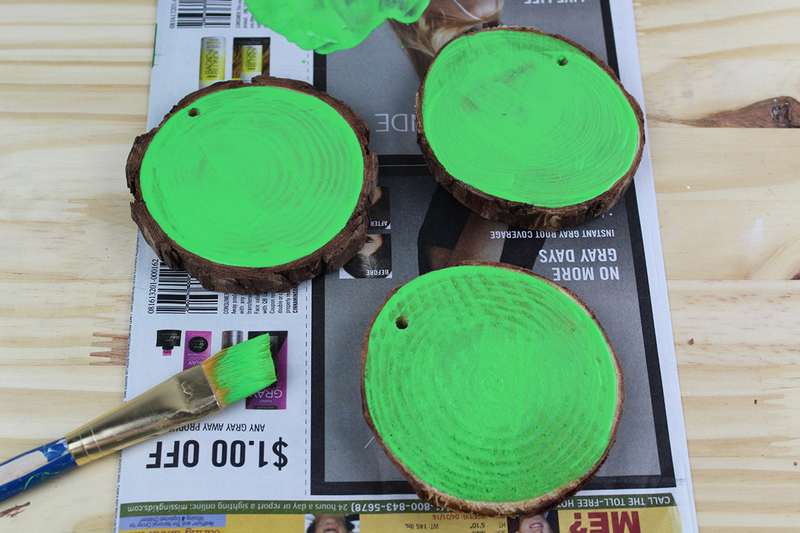 Paint your wood slices with 2-3 coats of green paint. The brighter the green the better! 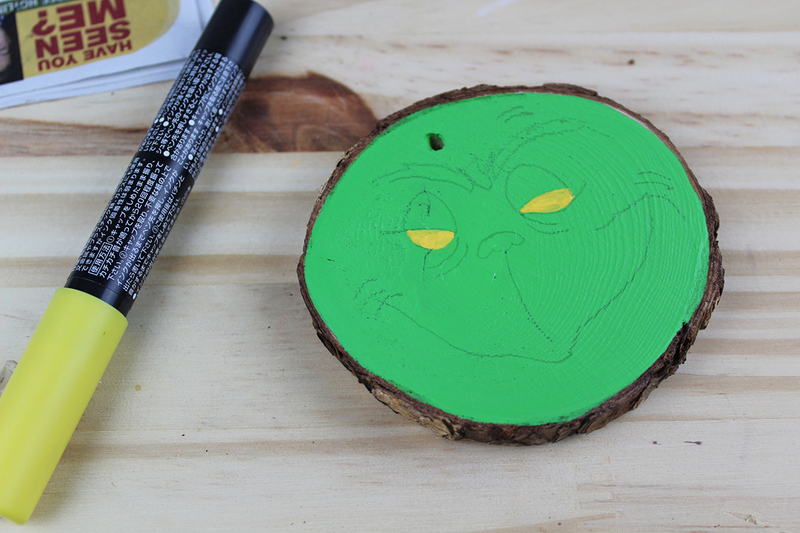 Go grab a snack and pop on How The Grinch Stole Christmas while you wait for the paint to fully dry. 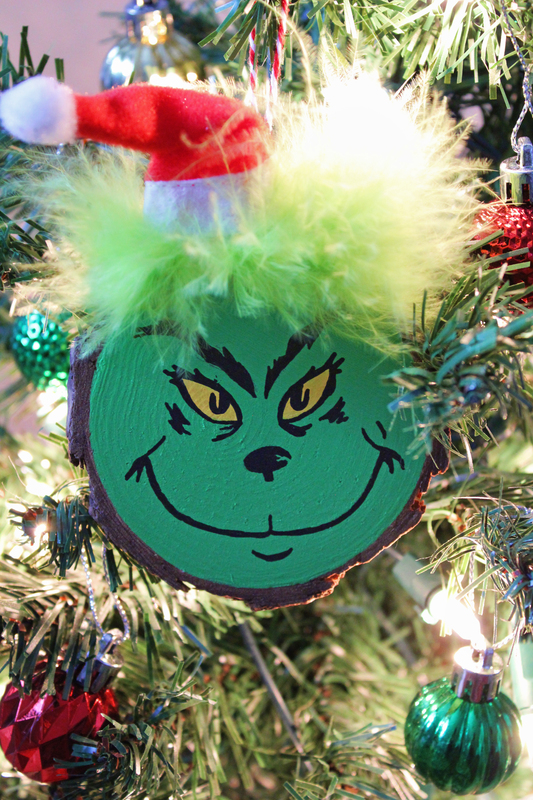 Draw or trace the Grinch’s face onto the ornament. Using a yellow paint pen, colour in the eyes and then allow them to dry fully. 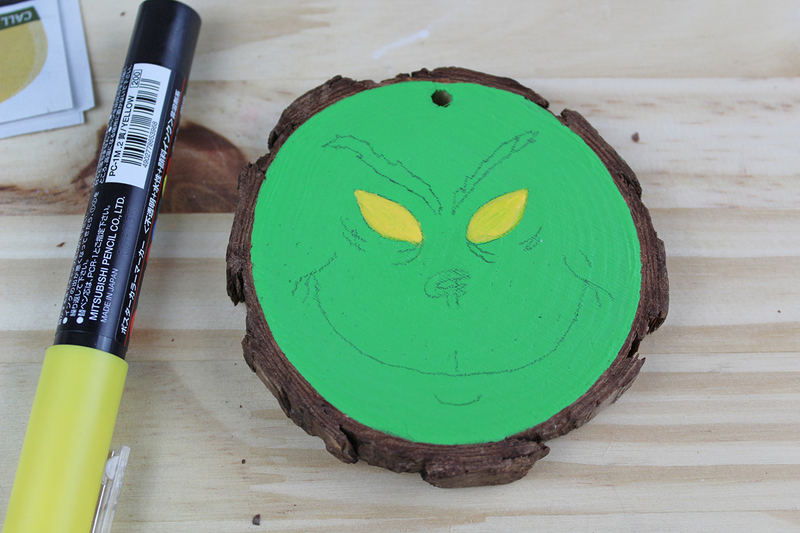 Draw or trace a different Grinch facial expression onto another wood slice. 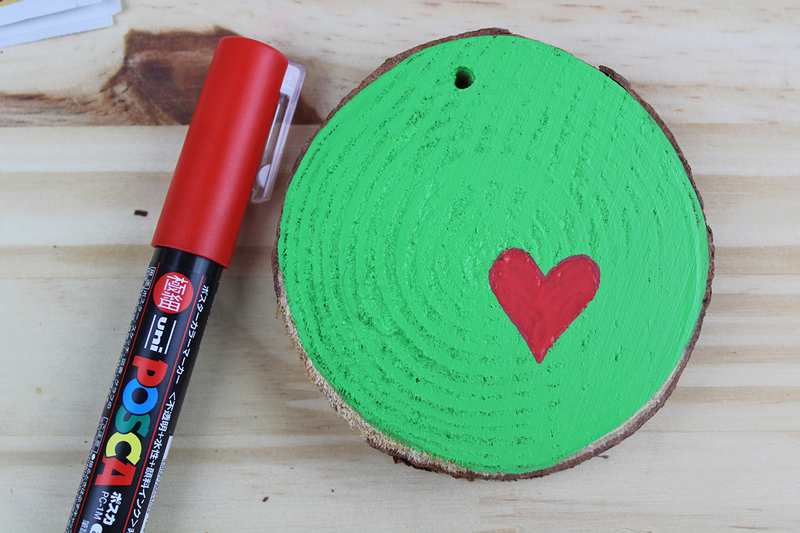 Using a red paint pen, draw a heart onto one ornament and allow to dry completely. 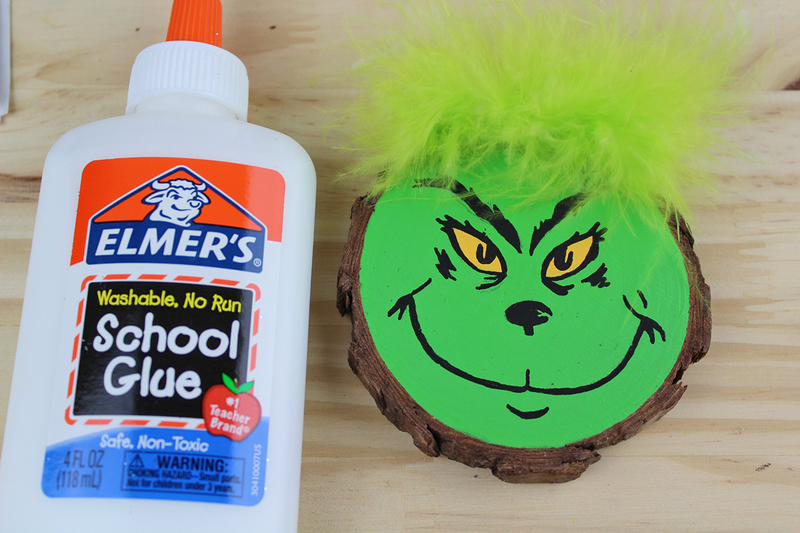 Take a black paint pen or marker and go over the Grinch’s facial features (mouth, eyes etc), and outline with a black paint pen. Allow to dry fully. Cut a piece of the marabou feather boa and glue onto the top of the wood slice. Glue a miniature Santa hat on top of the marabou feather boa. Glue a piece of ribbon or twine onto the back of the ornament for hanging and you are all done! Now that your ornaments are done go hang them on your tree for all to admire. 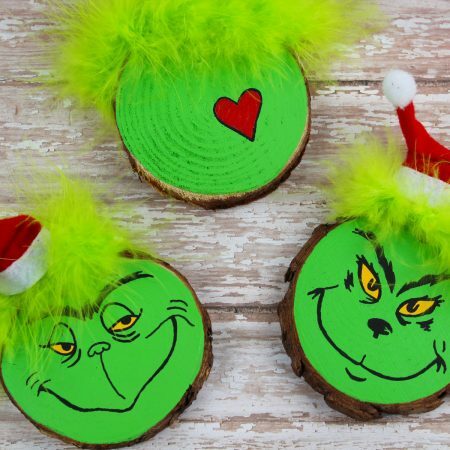 If you love How The Grinch Stole Christmas as much as I do you will love this fun Wood Slice Grinch Christmas Tree Ornament Craft. Remove the twine that comes on the wood slice. 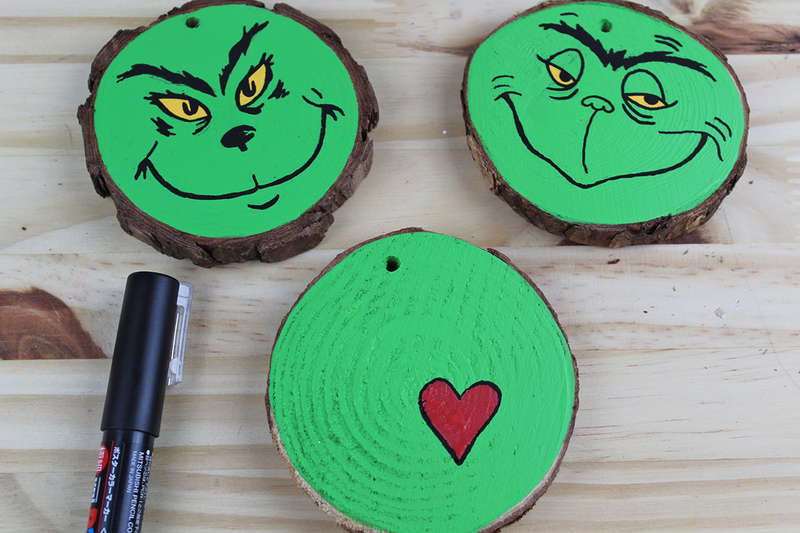 Paint the wood slice Grinch green. (2-3 coats) Allow the paint to dry completely. 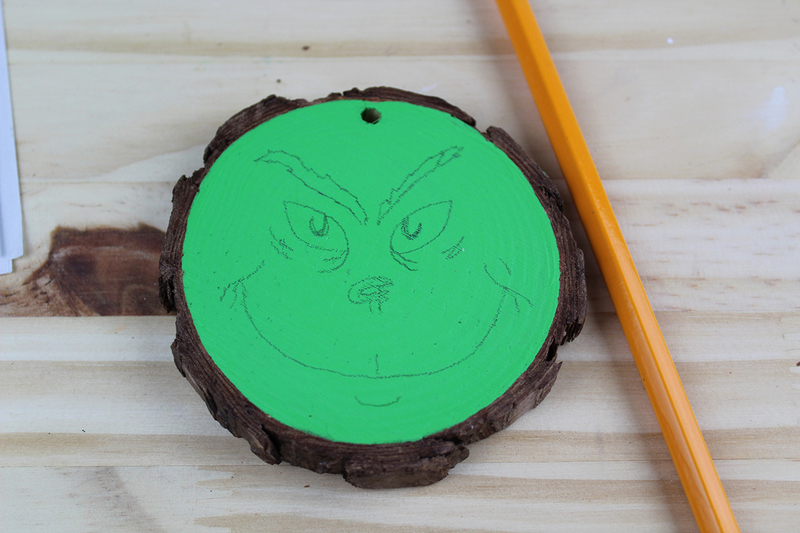 Draw or trace the Grinch’s face onto the ornament using a pencil. Using a yellow paint pen or permanent marker fill in the eyes. Allow them to dry completely. 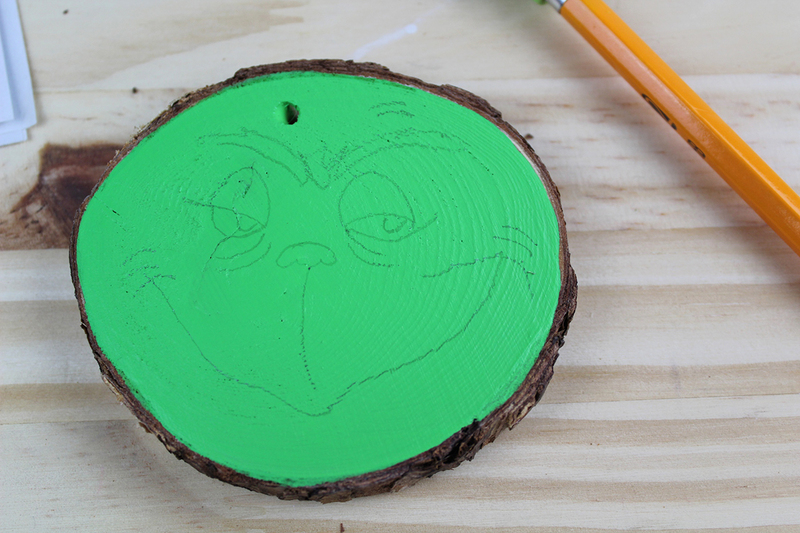 Take a black paint pen or permanent marker to draw over the Grinch’s facial features (mouth, eyes etc). Allow it to dry completely. Using a red paint pen or permanent marker draw a heart onto one ornament and outline it with a black paint pen or permanent marker. Allow it to dry completely. Glue a miniature Santa hat on top of the marabou feather boa. Skip this step for the heart ornament. 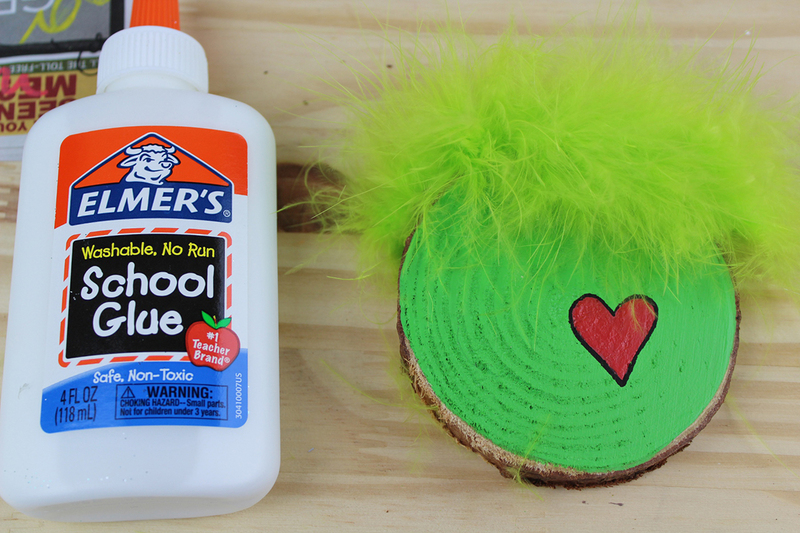 Glue a piece of ribbon or twine onto the back of the ornament for hanging. Your ornament is all done and ready to hang on the tree. 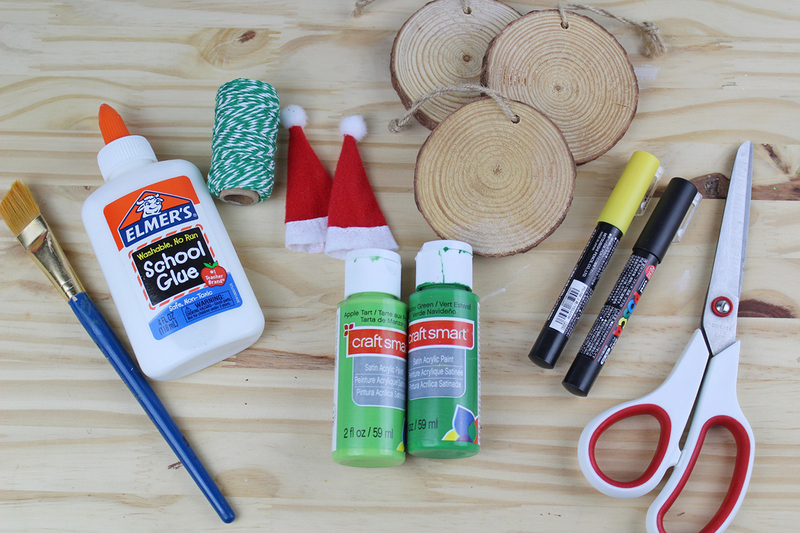 For more holiday craft ideas visit my DIY Holiday or Kids Corner Crafts!